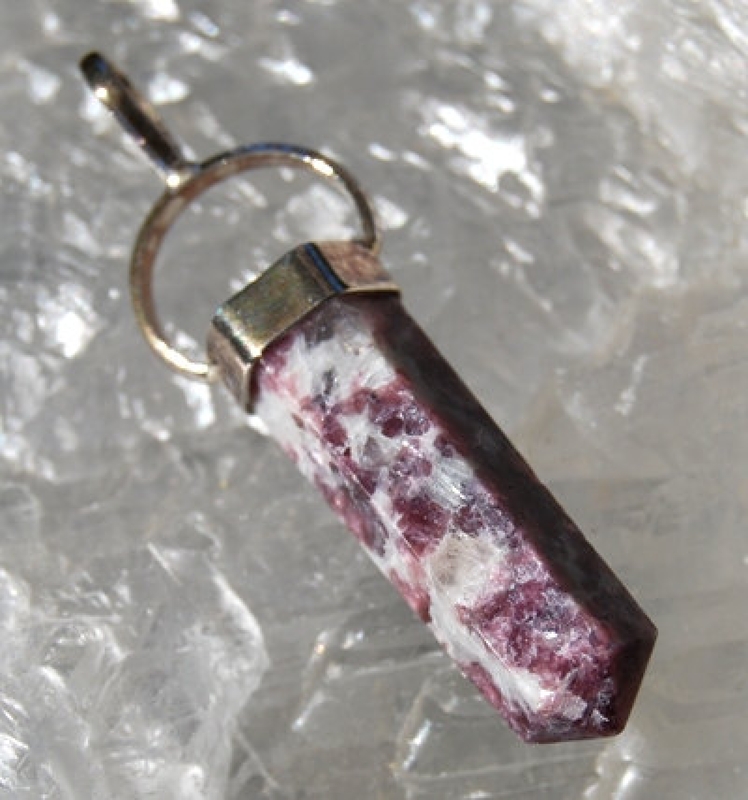 This purple and snow white lepidolite is a beautiful flat-sided double point with an open "bow" silver bail. I chose this specific pendant pendulum because of the crisp colors and flecks of flash, some of which you can see in the photos. Very striking! 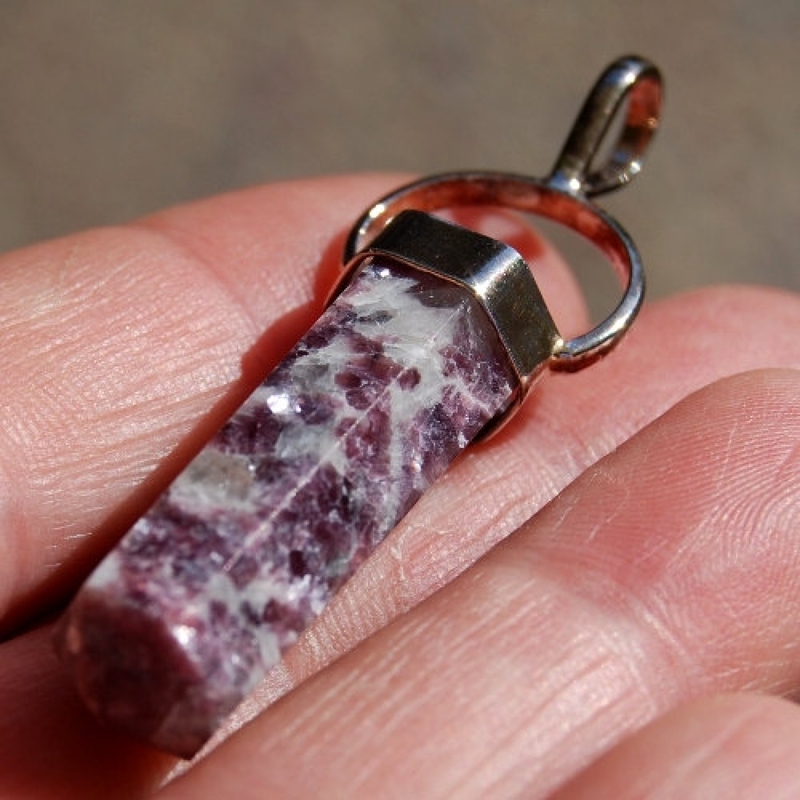 The pendant is 50mm (including bail) x10mm (15mm with bail). The first two photos show opposite sides. You will receive the exact stone shown. Please allow for the variations that occur in these natural stones; that is part of nature's charm. Computer screens display color differently.